On October 2011, the European Court of Justice (CJEU) issued a landmark decision on the patentability of biotech inventions in the case “Oliver Brüstle vs Greenpeace“. The use of them for the treatment of neural diseases (e.g. Parkinson’s, Huntington’s, Alzheimer’s). Brüstle’s patent didn’t cover human embryos as such, but the stem cells derived from them. In particular, the embryonic stem cells used by Brüstle were pluripotent cells, obtained by embryos at the blastocyst phase (a process that generally occurs after 5 days from the fecundation). 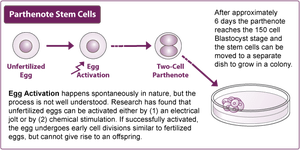 Since the cellular differentiation starts at this stage, pluripotent cells cannot separately develop into a human being. The use of embryonic stem cells was not the only controversial aspect in the Brüstle case: the process for the obtainment of the stem cells was able to damage or destruct the embryos at the blastocyst stage. In 2004, the patent was challenged by Greenpeace before the Bundespatentgericht (German Federal Patent Court) on ethical grounds. The Court of first instance declared the patent invalid, because it covered stem cells obtained from embryos. Brüstle appealed the decision before the Bundesgerichtshof (Federal Court of Justice), which referred the case to the CJEU in 2009. The CJEU was called to untie a Gordian knot about the patentability of biotech inventions. Indeed, the referred questions required the interpretation of Article 6(2)(c) of Directive 98/44/CE and, specifically, the legal notion of “human embryo” in patent law. Article 6 is known as the ethical clause of the Directive. At par. 1, it establishes that “Inventions shall be considered unpatentable where their commercial exploitation would be contrary to ordre public or morality”. Paragraph 2, then, enumerates a list of inventions that, in any case, cannot be patented. Among them, there are the “uses of human embryos for industrial or commercial purposes”. The provision does not contain any further specification, nor does the Directive provide a definition of human embryos. However, through an interpretation of the ratio legis, the Court held that the Directive is meant to protect human dignity and, therefore, the notion of human embryo at Article 6(2)(c) must be understood in a wide sense. As a consequence of this broad interpretation, the CJEU stated that any human ovum after fertilisation must be considered falling under the legal definition of embryo, because “that fertilisation is such as to commence the process of development of a human being” (§35 Brüstle judgment). It is precisely the aptitude of an organism to start the process of development of a human being that, according to the Court, is the core of the notion of embryo. The CJEU went a step further and applied this principle also to unfertilised ova, whose development process can be artificially stimulated. The Court stated that “a non-fertilised human ovum which the cell nucleus from a mature human cell has been transplanted and a non-fertilised human ovum which division and further development have been stimulated by parthenogenesis” must be considered an embryo, because in both cases the abovementioned creative aptitude is present. However, as specified by the CJEU itself, it is the national court that has to verify, in light of scientific developments, whether a stem cell obtained from embryos at the blastocyst stage (like those object of the Brüstle’s patent) are able to commence the development process. “the exclusion from patentability concerning the use of human embryos for industrial or commercial purposes in Article 6(2)(c ) of the Directive also [apply to the] use for scientific research”. There is however an exception: a patent can be granted if the invention covers uses for therapeutic or diagnostic purposes aimed at treating the human embryo. “the technical teaching which is the subject-matter of the patent application requires the prior destruction of human embryos or their use as a base material, whatever the stage at which that takes place and even if the description of the technical teaching claimed does not refer to the use of human embryos”. How did the case end up in Germany? In the national proceedings after the CJEU judgement, the Bundesgerichtshof partially upheld the Brüstle’s patent (docket nr. X ZR 58/07). The German Court confirmed the unpatentability of neural precursors cells entailing the destruction of a human embryo. However, it allowed the possibility to get patent if related to other methods for obtaining the same result without damaging the embryo. Interestingly, in applying the CJEU definition of human embryo, the German Court found that, despite blastocyst can potentially commence the process of development described by the CJEU, they are “functionally dead”: in vitro stem cells can hardly turn into a human being without a considerable intervention (see here). Therefore, according to the German court, blastocysts are not human embryos and stem cells can be patented as long as their production does not cause the destruction of an embryo. The CJEU notion of embryo, derived from the principle of dignity, was not unanimously welcomed. In particular, it attracted several criticisms from the scientific community. The main concerns regarded the broadness and ambiguity of the definition, able to cause a disruptive effect on patentability in this area and, as a consequence, on the corresponding downstream research (see, here). Therefore, not surprisingly the definition of human embryo was again submitted to the CJEU (here). The case originated from the refusal of the UK Intellectual Property Office to register the International Stem Cell Corporation’s application for a patent related to non-fertilised human ova whose division and further development have been stimulated by parthenogenesis. The latter, as the etymology suggests, is a process that can start cell division and development in absence of paternal genes. According to the Office, the invention disclosed in the patent application was excluded from patentability by the Brüstle precedent. The International Stem Cell Corporation contested the decision before the Chancery division of the High Court of Justice, alleging that the object of its patent application was substantially different from the one discussed in Brüstle. In particular, because, according to the current literature, the stem cells obtained from parthenogenetically-activated ovocytes are not able to develop into a human being. Hence, the UK court referred a preliminary question to CJEU to clarify the meaning of “commencement” of the process of development of a human being for the purposes of applying Article 6(2)(c), directive 98/44/EC. In a nutshell, what is the standard to determine whether a cell can ultimately evolve into an individual, thus impeding the patentability? “it was apparent from the written observations presented to the Court that an unfertilised human ovum whose division and further development have been stimulated by parthenogenesis did have the capacity to develop into a human being” (§31, International Stem Cell). By contrast, in the International Stem Cell Corporation case, the referring Court reported that, at the state of the art, the discussed stem cells cannot develop to term and, therefore, they do not have the inherent capacity of developing into a human being. “an unfertilised human ovum whose division and further development have been stimulated by parthenogenesis does not constitute a ‘human embryo’, within the meaning of that provision, if, in the light of current scientific knowledge, that ovum does not, in itself, have the inherent capacity of developing into a human being, this being a matter for the national court to determine” (§38, International Stem Cell). In Europe, human embryos are excluded from patentability on morality grounds. Do you think that Article 6(2)(c) of Directive 98/44/EC, as interpreted by the CJEU, ensure a proper balance between human dignity, the public interest in research and innovation, and the economic justification at the basis of patent protection? Do you think that the list contained at Article 6(2) of Directive 98/44/EC is a comprehensive list? Do you foreseen any other biotechnological application affecting human dignity that could deserve protection explicitly? The Brüstle judgement raised several criticisms. One recurring comment was that the decision would have been the tombstone of stem cells research in Europe, while, in other Countries, notably the US, there are not such restrictions. Do you agree with this argument? Did the CJEU approach negatively affect biotechnological innovation in Europe? In International Stem Cell, the CJEU formulated the “inherency test” to exclude a non-fertilised ovum stimulated by parthenogenesis from the definition of embryo. Do you think that the Court has sufficiently clarified the meaning of “commencement of the process of development of a human being” established in Brüstle? Both in Brüstle and International Stem Cell, the CJEU leaves a certain margin of discretion to national courts in determining whether a biological material falls under the definition of embryo. Do you think that situation can jeopardise the European harmonisation of patents? A provocative question: do you think that the CJEU, a Court composed by jurists, can adequately decide legal questions dealing with complex scientific concepts? If not, do you foreseen any creative solution to address the knowledge gap that judges may suffer when they have to handle highly-specialised technical matters? Bonadio, Enrico. “Stem Cells Industry and Beyond: What is the Aftermath of Brüstle?.” European Journal of Risk Regulation 3.1 (2012): 93-97. Bonadio, Enrico, and Angelo Maria Rovati. “The Court of Justice of the European Union Clarifies when Human Embryonic Stem Cells Can Be Patented.” European Journal of Risk Regulation6.2 (2015): 293-295. Lucchi, Nicola. “Patent Litigation in the Biosciences: Reconsidering Ownership of Genetic Information after Brüstle and Myriad.” (2015): 431-445. Nordberg, Ana, and Timo Minssen. “A “Ray of Hope” for European Stem Cell Patents or “Out of the Smog into the Fog”? An Analysis of Recent European Case Law and How it Compares to the US.” IIC-International Review of Intellectual Property and Competition Law 47.2 (2016): 138-177. Paton, Mark, and Alex Denoon. “The ramifications of the Advocate General’s Opinion in the Oliver Brüstle case.” Eur Intellect Property Rev 33 (2011): 590-596.